SONY reveals Marvel's Spider-Man - Limited Edition PS4 Pro Bundle. SONY today announced the Limited Edition Marvel's Spider-Man PlayStation 4 Pro bundle, launching alongside the game on September 7, 2018. Feel the power of Spider-Man's improvisational combat, fluid urban traversal, dynamic acrobatics, and environmental interactions with the special edition console this fall. 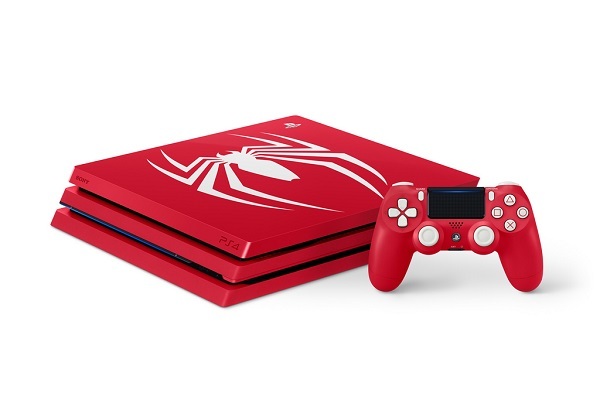 This special bundle includes a fully customized Amazing Red 1TB PS4 Pro console featuring the iconic Marvel's Spider-Man spider, a matching DualShock 4 wireless controller, Marvel's Spider-Man game on Blu-ray disc, and digital content. On PS4 Pro, 4K TV owners can experience Marvel's Spider-Man in 2160p dynamic 4K resolution achieved through temporal injection that showcases intricate details of the architecture of Marvel's New York and detailed Marvel characters. HD TV owners will benefit from the game's built-in supersampling with increased image clarity and detail. Meanwhile, if your TV supports high-dynamic range (HDR), you'll experience vibrant special effects like Mister Negative's negative powers, and brilliant lighting across a picturesque Manhattan. This limited edition bundle will be available across the U.S. and Canada for $399.99 USD (MSRP) / $499.99 CAD (MSRP). Pre-orders start today.